« Star Wars: New Hope in Concert @ Budapest – 2018. Re-opening event … rewind 35o years. Three main purpose regarding the reopen: re-imaging initiation, rabbi inauguration and placing the completed Torah scroll and exhibition. The 350 years old Hungarian Jewish prayer house will be re-opening again which is one of the oldest pray house. This will be organized on the occasion of the 5779th Jewish New Year. 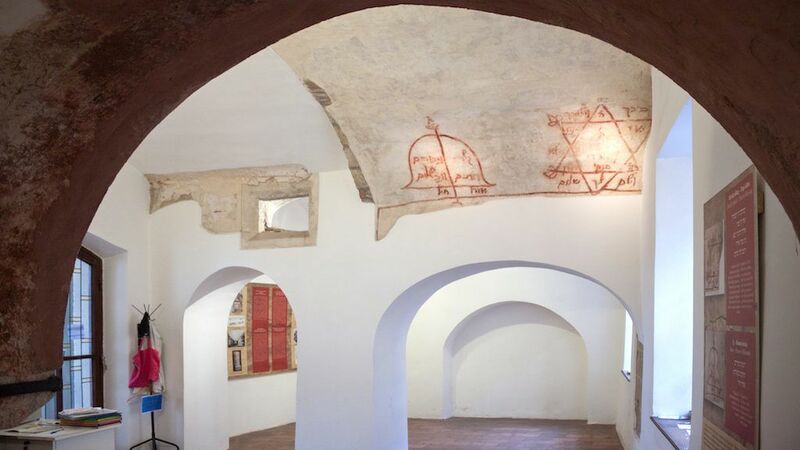 Inauguration ceremony returns to the religious and social life of the former prayer room walls will hear the Jewish prayer words of which were heard before the last Buda Castle Turkish occupation. Thanks to an agreement between the Unified Hungarian Israelite Community (EMIH), the Budapest History Museum, the Metropolitan Municipality and the Municipality of Understanding. During the late Medieval and Ottoman period the Buda Castle area was residential venue. The prayer house was built at the end of the 14th century baring the former name: Zsidó Street (Jew Street). To-day the street’s name known as 26 Táncsics Mihály Street. On the south side of the building it was divided by a Gothic pillar. On the north side of the arched windows framed chapel were preserved the women’s former place of worship. Can be seen on the ground floor the residential building from the Buda Jews in late medieval and later the Ottoman resident. In 1964, it was discovered the underground synagogue with monumental research of the building and then reconstructed. Following the research was found the XVII. century Jewish inscriptions and depictions. Among the ruins was found mikvah and a synagogue completely destroyed, which was revealed in the early 2000s, but have also been buried – without signaling or placing a memorial plaque. From the left side of the building gate to the south, Budapest Historical Museum obtains significant collection of the Jewish tombstones of the Middle Ages and the series of stories on the walls of the Prayer reminiscent the life and history of Buda Judaism. Beside the role of the re-opening religious house of worship function, an exhibition of religious treasures will be open again in September 2018.